in GBP to DKK, GBP to NOK, GBP to SEK. The Pound Sterling (GBP) exchange rate remained weaker against the Danish Krone (DKK), Norwegian Krone (NOK) and Swedish Krona (SEK) on Tuesday as UK data weighed upon the British currency. The Danish Krone strengthened against the Pound after data showed that the Danish economy expanded at a better pace than expected in the third quarter. Economists had been forecasting for the nation’s economy to contract but that was not the case. According to Statistics Denmark, Gross Domestic Product (GDP) expanded by 0.4% from the second quarter, when the economy grew by 0.1%, revised from 0.2%. Economists had been expecting a figure of 0.5%. On a year on year basis, the Danish economy expanded by 1%, beating expectations for a rise of 0.9% and was a strong improvement on the preceding figure of 0.3%. The better than forecast yearly figure was down to a pickup in agriculture, business and mining and quarrying services. Investment into the nation also increased but private consumption was shown to have dipped. 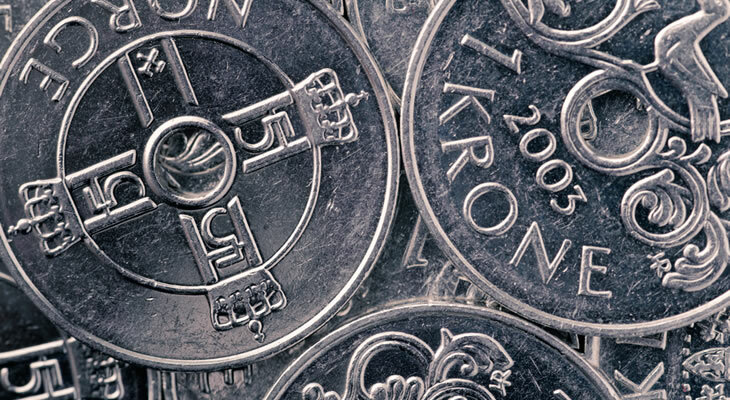 The Norwegian Krone firmed against the Pound despite a report showing that the jobless rate in the Scandinavian nation remained above economist expectations in the month of October. According to the labour force survey compiled by Statistics Norway, the country’s unemployment rate came in at 3.8%, a rise of 0.3% from the previous quarter. Economists had been expecting a figure of 3.7%. Overall, there are 103,000 people out of work in Norway, up by 9,000 from July’s figures. The seasonally adjusted amount of employed people fell by 5,000 in the third quarter. The Swedish Krona also advanced against the Pound despite a report showing that producer prices rose at a slower pace in November. According to figures released by Statistics Sweden, producer prices rose by 1.3% year on year in November, a drop from the 2.1% pace seen in the preceding month. The Pound is forecast to remain softer against the Scandinavian currencies for the rest of the Christmas week due to light trading and as end of year UK data disappointed. A report released by the Office for National Statistics (ONS) showed that the UK economy expanded a slower rate than expected in the third quarter. GDP was revised lower to 2.6% from 3% on an annual basis. Also weakening the currency was a sharp rise in the UK’s current account deficit.